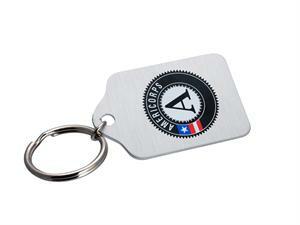 This subtle yet elegant key chain is perfect for establishing your status an a VISTA member. Pair it with one of our awesome lanyards for a truly bold statement of VISTA pride! These make a great gift for any volunteer, staff, director and anyone who wants to support the efforts of VISTA members across the USA!